In recent years, I have been drawn into research on the revised lectionary, which is often hailed as one of the great gains of the liturgical reform. The fullest presentation of my findings is published in the proceedings of Sacra Liturgia 2015, Liturgy in the Twenty-First Century (pp. 287-320), but additional considerations are found in a chapter of my book Resurgent in the Midst of Crisis, the Foreword to Matthew Hazell’s book Index Lectionum, the essay I contributed to a forthcoming volume from Emmaus Road, my article on the glaring omission of 1 Cor 11:27–29 from the revised lectionary, and my article on the purging of Psalms in the Liturgy of the Hours. It must be admitted that as one delves more deeply into the subject, one finds ever more disturbing things. In his thought-provoking book Work of Human Hands, Rev. Anthony Cekada claims that the new lectionary “contains more Scripture but less of its actual message.” At first sight, this claim may seem incredible. After all, does not the massive increase in passages read aloud automatically mean that more of the message of God’s word must be present? It is, however, easy to illustrate the truth of what Fr. Cekada is saying by means of a comparison. Let us say that an erudite publisher wishes to bring out a collection of “classic Shakespeare texts” and stipulates that the book must be relatively compact. A capable editor, thoroughly familiar with the plays, would range through the Bard’s tragedies, comedies, histories, and romances, selecting famous speeches and favorite characters as well as an occasional lesser-known odd, dark, curious, or lyrical passage. Even though only a small percentage of the whole content will end up included, the resulting florilegium will nevertheless be truly representative of the whole, flavored with all aspects of the Bard’s genius. 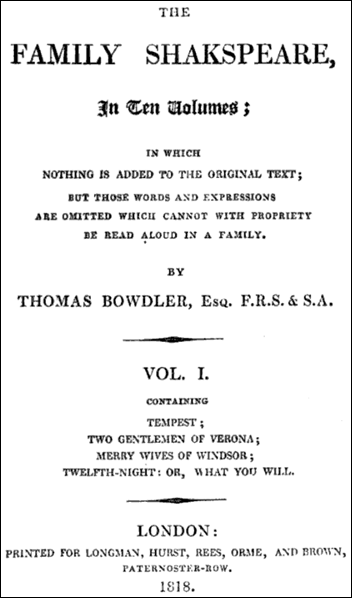 Now, imagine another publisher, more up-to-date in his views (and therefore more narrow-minded), who agrees that Shakespeare is, after all, an author to reckon with — but only in those aspects of his work that are acceptable to modern readers, since today’s men and women do not like to be reminded of sin, death, judgment, hell, and other unpleasant things. 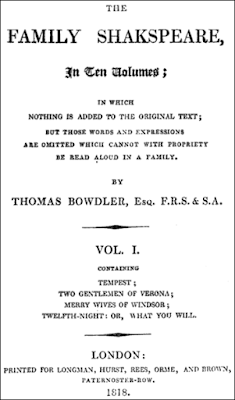 This publisher also feels that the tragic element has been rather overdone, so he wishes to have excerpts from the comedies, histories, and romances, but nothing from the tragedies. And because typesetting and printing have become so easy and affordable, he decides that he can bring out a multi-volume set. This publisher hires an editor whom he instructs to do all of the above. He must include a far greater quantity of Shakespeare, but he must avoid the “difficult” parts. The work is executed and three shiny volumes roll off the presses. 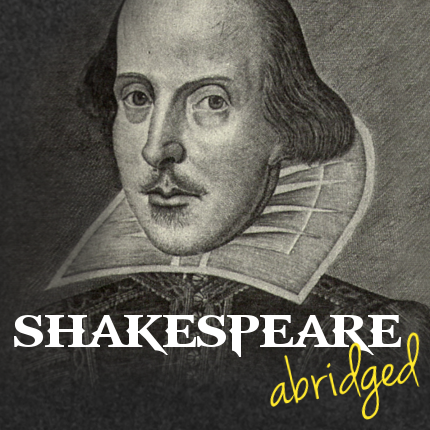 Would we not say, in all honesty, that no matter what percentage of Shakespeare finds its way into the latter set of volumes, they are not, in fact, representative of the whole, owing to the politically correct (and thus arbitrary and subjective) editorial policy? Would we not say that the other publisher’s single volume, though much more compact, can better lay claim to being a synopsis of Shakespeare? Yes, this is exactly what we would say. This hypothetical example manifests a universal truth: one must first embrace the whole as whole before one can fairly select parts as parts. In other words, to know what parts are important, and to know how they may be used when taken out of their larger context, demands an appreciation of the whole and a sensitivity to the relative weight and function of the parts. A racial example will make this clear. If one believes that all races are equal, one can reasonably pick out a few individuals for military or government positions and leave the rest behind, without incurring the charge of racial prejudice. That a few got picked, and perhaps only those of a certain race, would not be a matter of prejudice but of practical necessity: there are only so many positions to be filled, and the best men are to be chosen. The best pick, at any given time, will not necessarily include a range of races; that is a matter of divine providence. If, in contrast, one believed that only men of a certain race were human or virtuous, one’s subsequent choice of individuals from that race alone, passing over of individuals from other races, would be problematic. It is just like this with the lectionaries. The historic lectionaries of the Western tradition contain relatively few passages, but these passages are well chosen for their latreutic and educative functions. They carry a tremendous “punch.” No prejudice against difficult, demanding, or politically incorrect passages guided the redaction. Your traditional lectionary, as small as it is, gives you the rough with the smooth, every type of passage from clear to obscure, consoling to disturbing, pacific to violent. Just like in our hypothetical Shakespeare book. It is true: the old lectionary lacks some of the favorite stories of the Bible. But since its purpose was never merely to instruct, much less to entertain, and since it contains clear passages on all of the major subjects of doctrine and morality, its incompleteness in this regard is no defect on any reasonable account; such omissions are in no way crippling to its liturgical function. Moreover, there is no reason that a limited number of additional readings could not have been judiciously added to the existing structure, in keeping with Sacrosanctum Concilium 35 and 51. For as we know, organic development of the liturgy occurs most often by means of addition, not subtraction or ex nihilo innovation. What was done by the Prometheans, instead, was to scrap the existing millennium-old lectionary and start literally from scratch, with two false guiding principles: (1) the purpose of the lectionary is to present as much instructional content to the people as possible; (2) this instructional content should avoid anything that is “too difficult for modern man.” The first principle indicates a faulty liturgical theology; the second, a faulty theology of biblical inspiration and inerrancy. Together they amount to a rejection of the most fundamental principle of all, namely, that liturgical tradition is to be received with veneration and passed on without diminution or corruption. Hence, the new lectionary is vitiated in its principles and, whatever its benefits may happen to be, as a whole it cannot be seen as a genuine lectionary in the sense in which venerable Christian tradition has produced lectionaries. It is rather a committee product that God, in His mercy, has permitted to be not entirely without fruit. The sooner we recognize this fact, the sooner we can repent of our rashness and return to our traditional lectionary, which emerges from unfiltered Christian faith and piety. In conclusion, it is quite possible for a lectionary to have more of Scripture quantitatively but less of Scripture qualitatively. The traditional Roman lectionary gives to the people more of the total message of Scripture, even though it has a lower word-count, while the new lectionary gives to the people less of the total message, in spite of its vastly higher word-count. As we await this publication, the talk is available at my Academia.edu page. There is much to admire in Fr. Cekada’s research, as Msgr. Andrew Wadsworth said in his review of it in Usus Antiquior. But, as with Msgr. Wadsworth, I cannot share many of the book’s conclusions.